Home-building slid in March, 6.8 percent below estimates to a rate of 1,215,000, according to the latest data from the U.S. Census Bureau and the Department of Housing and Urban Development (HUD). Single-family housing starts decreased 6.2 percent from February to 821,000. Starts for units in buildings with five units or more came in at 385,000. 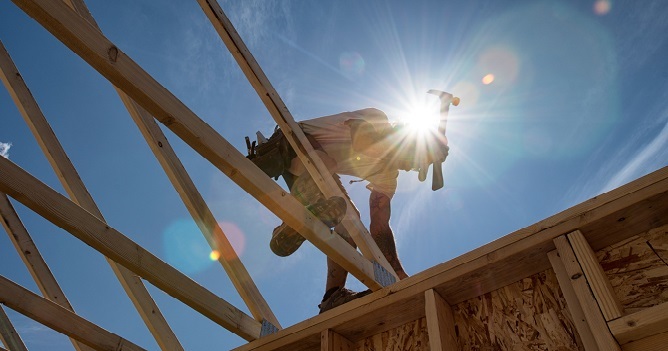 “[These] numbers are aligned with our builder confidence metric, which contracted slightly this month but is on solid footing overall,” says Granger MacDonald, chairman of the National Association of Home Builders (NAHB). Permits showed promise, up 3.6 percent from February to 1,260,000, according to the data. Single-family permits decreased 1.1 percent from February to 823,000. Permits for units in buildings with five units or more came in at 401,000. Completions totaled 1,205,000 in March, rising 3.2 percent, per the data. Single-family completions increased 7.9 percent from February to 819,000. Completions for units in buildings with five units or more came in at 374,000. The dial down, ultimately, will do little in the way of slowing momentum this spring.